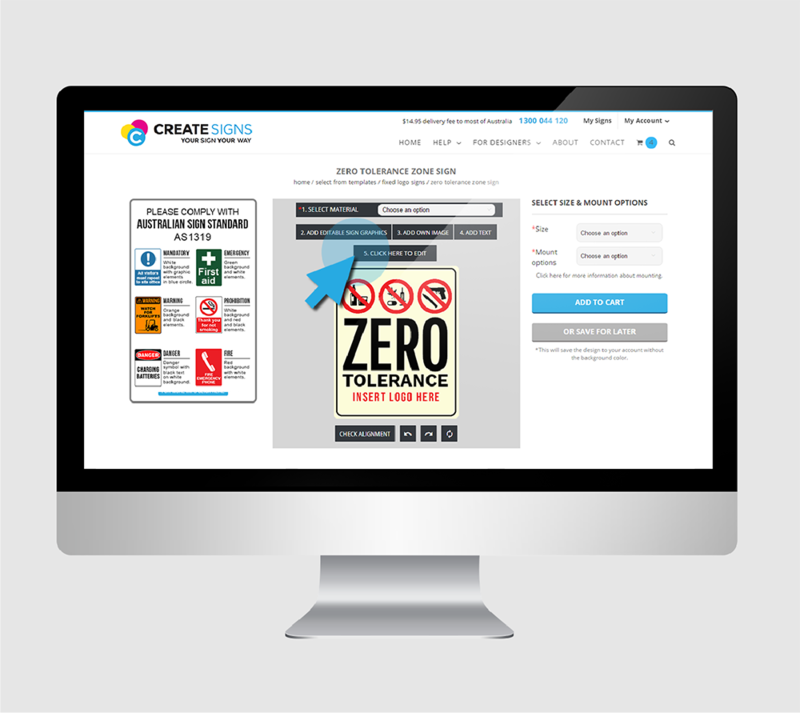 Creating your sign is a quick and easy process. All you need to do is follow these simple steps. 1First decide which method is best for you. 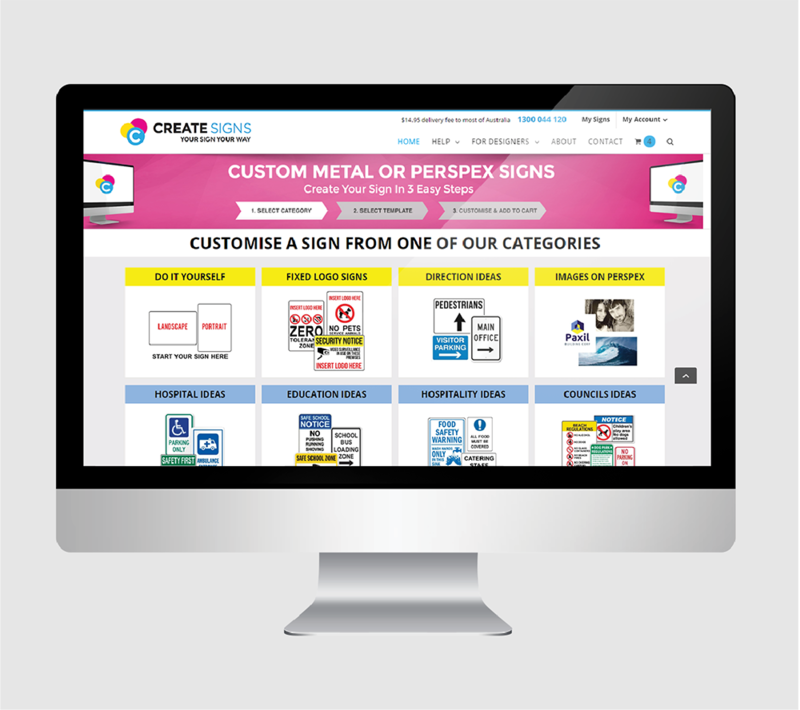 Simply choose from one of our ready-made online templates and start editing. Alternatively, if you don’t require any editing, you can simply print the template exactly as it is. 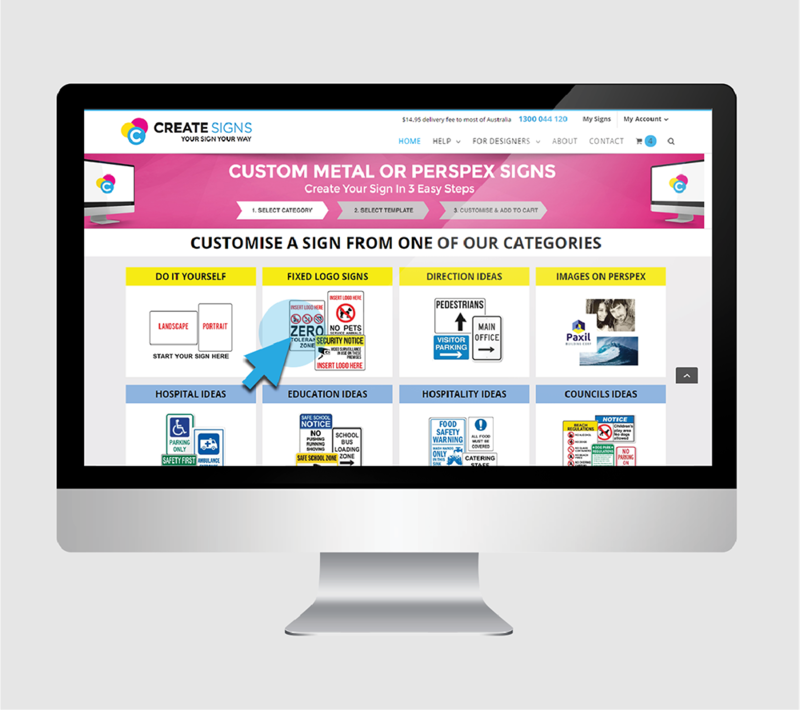 Once you select the appropriate DIY design category, you can then design your sign from start to finish using our online editor. Upload your very own completed design via our ‘for designers’ section. 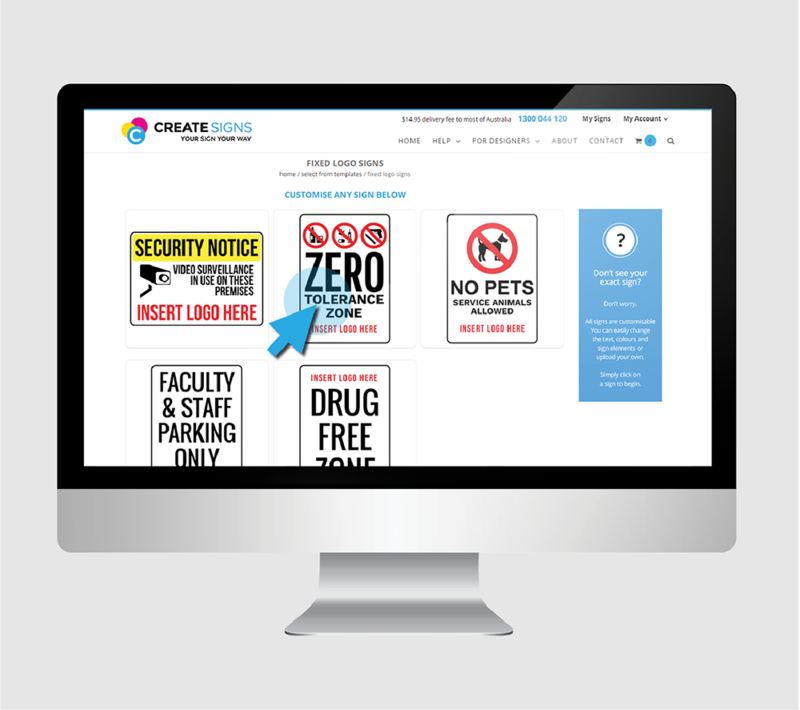 We have an extensive range of industry-specific signage options to choose from. Simply select from the category that best suits you. 3Choose the appropriate sign from the appropriate category. 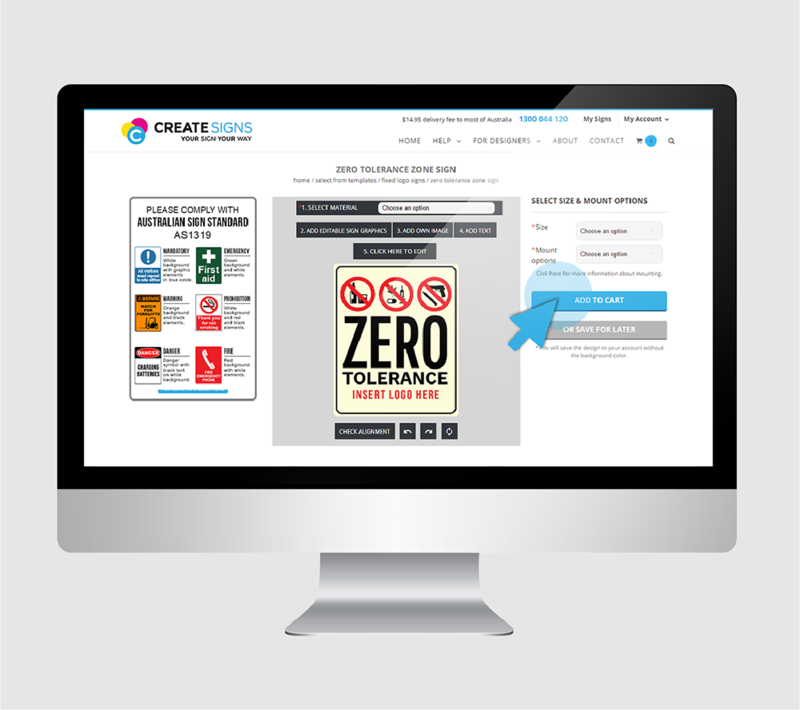 By double-clicking the template, you will be automatically taken to the editing functions. Begin by choosing the appropriate aluminium colour. * When editing please ensure your sign complies with NZS / AS1319:1994. Click here for more information.  5Finalise your order and simply add to cart. 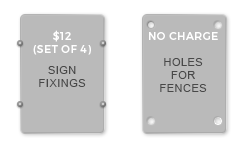 Choose the size required for your sign. Choose the mount type and add to cart. If you would like a size that is not provided please call our office for a quote.